“I started reading [PITFALL] at the doctor’s office and got so entranced in the book , that I almost missed my name being called. I so got sucked into pages from the first chapter. Let me introduce you to John Brenner a retired army ranger and ex cop. He has had a very hard life and most of all he is a southern gentleman. He takes a case that was suppose to be easy but when is anything ever easy. He is confronted with an evil that reaches high and face to face with a ruthless killer named BONELESS CHUCK. Will he survive. The characters in this book are well developed and very complex. The character of John is such a complex character. 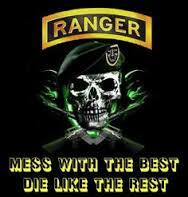 He is an retired army ranger who is very damaged. He works hard and has the sense to get things done. I really like his character and the way he gets things done. The bad guys in the book are evil and I mean really evil. They really do a number on our man. There will indeed be more adventures to come for Brenner and the rest. Get hooked on the series today by reading PIFALL today!